is the NYC-based studio of Swiss designer and art director Thierry Blancpain. He previously co-founded Grilli Type foundry. We design visual identities and interfaces for wonderful clients doing all kinds of great things. This is a selection of our work. Have a look and please do say hi. To promote ACLU’s project to end mass incarceration in the US, we created a website that aims to be informative and impressive at the same time. With a dot for every of the nearly two million people in US state and county prisons, the website asks the visitor to scroll through thousands of pixels of these dots, allowing the visitor to learn more about the problem as well as the proposed solutions. Young media company Buzzfeed decided to launch a beauty and lifestyle brand that aims to emphasize diversity and individuality over prescriptive (white) industry navel gazing. For this project I joined an in-house design team for naming and branding the new vertical. ProPublica is an independent, nonprofit newsroom that produces investigative journalism. Coinciding with a website redesign and expansion to regional newsrooms, we created a custom wordmark and monogram for them. Nods to history are balanced with a contemporary serif design. 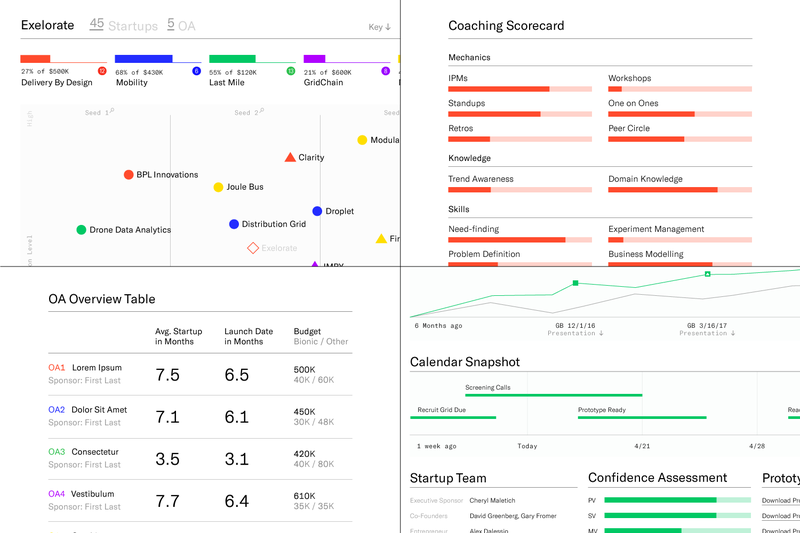 We explored the interface design for an intrapreneurship data visualization tool used by executives of large companies. The goal was a clear, informative, contemporary design language outside of common startup design trends. Like the typeface itself, the website for GT America aimed to be a fun combination of American and Swiss graphic design history. A mix of animation and interactive elements did the job. The visual identity of ieli, a program to connect creators of digital culture with distributors and investors in the field, needed to speak to both tech and art audiences. Geometric abstraction paired with a customized wordmark inspired by monospaced typefaces (often used for coding) did the trick. GT is an independent Swiss type foundry offering custom and retail fonts. As a co-founder, Thierry was among other things responsible for the brand and our websites. Sandbox is a global community for young people from around the world. With a bottom-up organizational structure of hubs in dozens of cities, the newly revised identity needed to be usable for every community member, and thus be based on open-source materials. Promotional website for the release of GT Eesti, a typeface inspired by Estonian children’s books from the cold-war era. Typeface design by Reto Moser. OpenData.ch is the Swiss Chapter of the globally operating Open Knowledge Foundation. Fostering the growing movement towards open government data in Switzerland, the non-profit needed a simple to use but flexible identity. Promotional website to accompany the re-release of GT Haptik, a typeface informed by the process of reading by touching. Typeface by Tobias Rechsteiner and Reto Moser. Various visual identities created for clients and self-initiated projects. We designed the voting results maps for the Swiss newspaper Neue Zürcher Zeitung’s website. Switzerland’s foremost art book publisher has always made beautiful books, but it didn’t have a website to match them. We radically simplified the navigation and put their beautiful books, and with them the shop, front and center. The clean layout is sprinkled with playful interactions. 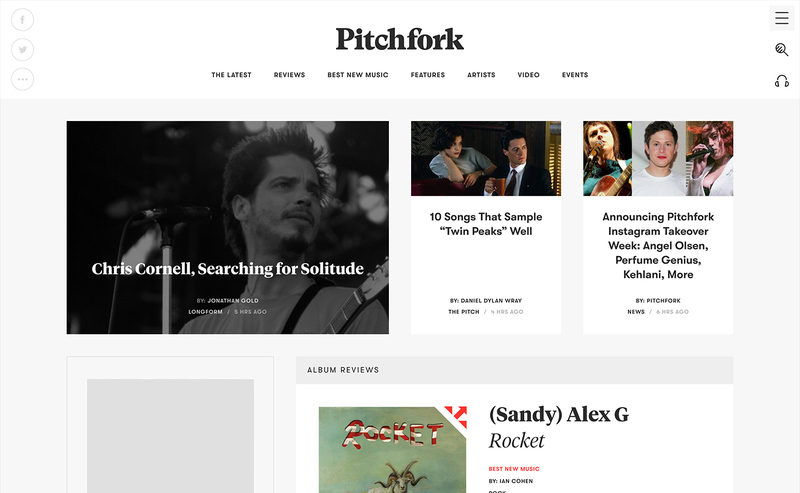 For the music website’s 20th birthday, Pitchfork was looking to redesign their wordmark. With Grilli Type we designed the new wordmark to reflect Pitchfork’s more grown-up, journalistic voice while referencing 1970s music and culture. We work with clients that value design as an inherent part of their business, who aim to communicate in contemporary, interesting ways. Today, an organization’s online presence is inherently linked to its visual identity. We like to design both together to create a coherent, stronger whole. Thierry’s a designer at heart but through building Grilli Type, he has learned how to run a company, too – so he also know how it feels to be the client. Good communication is essential to make the design process work for everyone involved. We’d love to hear from you if you’re interested in working together, would like to know more about any of the projects, or just to say hello! We like scratching our own itches. We’ve started a yearly project about learning to complain less as well as newsletter with five interesting links that aims to transcend the daily news cycle.